Lawrence Wayne Finlayson, 74, of Great Falls, passed away from cancer on January 30, 2019 at Peace Hospice Center. A funeral liturgy will be Saturday, February 9, 2019 at 1:00 p. m. at Hillcrest Lawn Memorial Chapel. Schnider Funeral Home is handling the arrangements. Lawrence was born on August 5, 1944 to Marshall and Josephine (Noble) Finlayson. He was the youngest of eight siblings, growing up in the Sand Coulee/Belt area, where he lived most of his life on the family ranch. He married Terry Dusko in 1964 and had four children. He went to work for Carl Weissman, the day his first child, Karla, was born in 1965. They divorced in 1986. He then married Mary Nickol in 1998. He continued to work the ranch and for Weissman’s until he retired from the then Steel Etc. after working for 48 years. 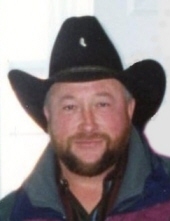 He enjoyed hunting, especially his annual trip with son Ron to his daughter, Karla’s place in Winifred, helping his son harvest, getting together with friends and family, playing cards, and enjoyed keeping busy. He is survived by his wife Mary; daughter Karla Butcher of Winifred; grandchildren Katelynn (Garrett) Wenetta, Joshua (Nicole), Trevis Justin, Jenae, Victoria, and Noah; great-granddaughter Zeta Joy (Joshua); son Ronald (Tracy) Finlayson of Geyser; grandchildren Lane (Lacey), Paige (Zane) Obergfell and Jayd; great-granddaughter Ava Grace (Paige); daughter Laura (Kris) Steichen of Great Falls and grandson Wyatt; ex-wife Terri Buhre of Lewistown; sisters Ellarene Finlayson of Sand Coulee, Bertha (Ed) Ferguson of Great Falls, and brother Russell of Sand Coulee. He was preceded in death by his son, Lawrence Jr. (1966); brothers Richard, Marshall “Rocky,” Roy and sister Betty; and son-in-law Trevis Butcher. Memorials in Lawrence’s name can be made to Peace Hospice of Great Falls. To plant a tree in memory of Lawrence Wayne Finlayson, please visit our Tribute Store. "Email Address" would like to share the life celebration of Lawrence Wayne Finlayson. Click on the "link" to go to share a favorite memory or leave a condolence message for the family.